There’s No Extra Charge for Awesome! 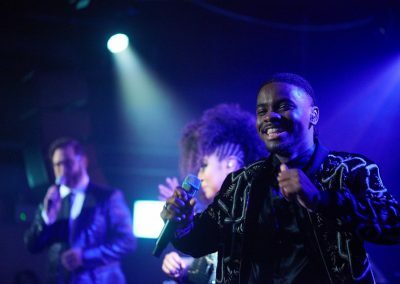 Free Spirit was selected to perform for the VIP grand opening reception of Union Stage, a new 7500 square foot music venue in the trendy Washington, DC Southwest Waterfront. This is a video/audio recording of that special evening. 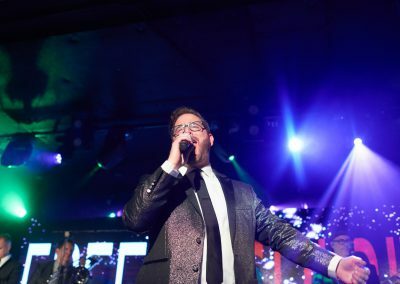 We’ve also added some other live video to showcase the band’s ability to get people moving and dancing which has earned Free Spirit the award for “Washington DC’s Best Band” for two years in a row by Washingtonian Magazine. Free Spirit is the number one choice in the Washington DC and Baltimore areas for dance music, with a wide variety of tunes designed to keep your feet moving. 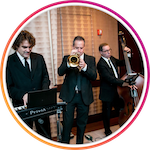 The key to a memorable wedding reception, corporate party, fundraiser, or political event, is a band that brings a high-energy, customized set list, with great visual effects and crowd interaction. Free Spirit continues to meet these requirements, bringing crowd-pleasing tunes that make for a spectacular dance party. 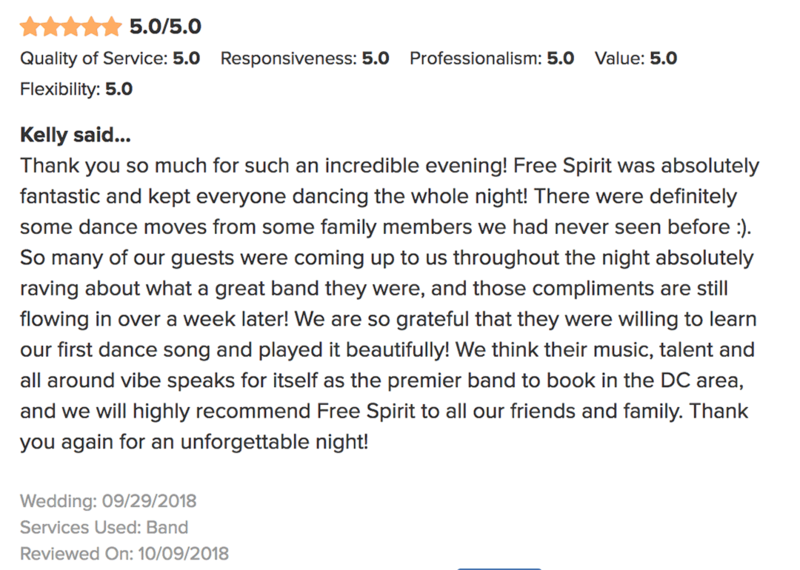 Free Spirit band is consistently chosen as a top dance band in the Washington DC and Baltimore areas, and was voted into “America’s Best Bands” two consecutive years in Modern Bride Magazine. 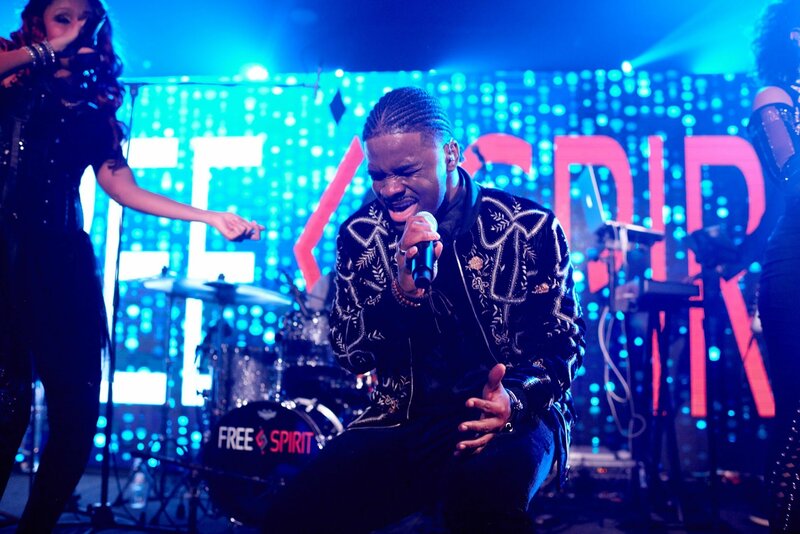 Over a career spanning nearly 2000 parties, Free Spirit has provided the music for the most important events in the Washington DC and Baltimore areas. Our experience reading crowds and encouraging interaction are critical component to successful events of all types. 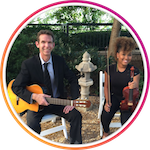 Book Free Spirit to perform at your wedding reception, corporate gala, fundraiser, or political function, and guarantee that your guests will go home happy! Praise for Free Spirit from clients like YOU! For the most important day of your life you can count on our national-level talent and amazing customer service to achieve our one and only goal: To create memories that will last a lifetime for you and your guests. We work closely with you to select just the right attire. We can dress for your theme, colors of your choice or wear formal attire. You will be thrilled not only by how great we sound, but how great we look too. Free Spirit includes options unheard of in a typical dance band. 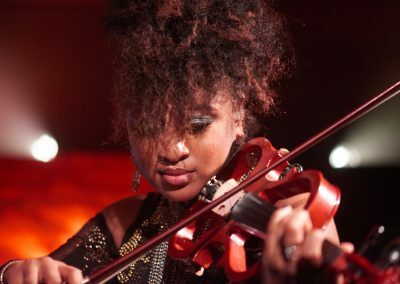 In addition to traditional instrumentation, our talented musicans can perform on violin, classical guitar, flute, upright bass, percussion and more. 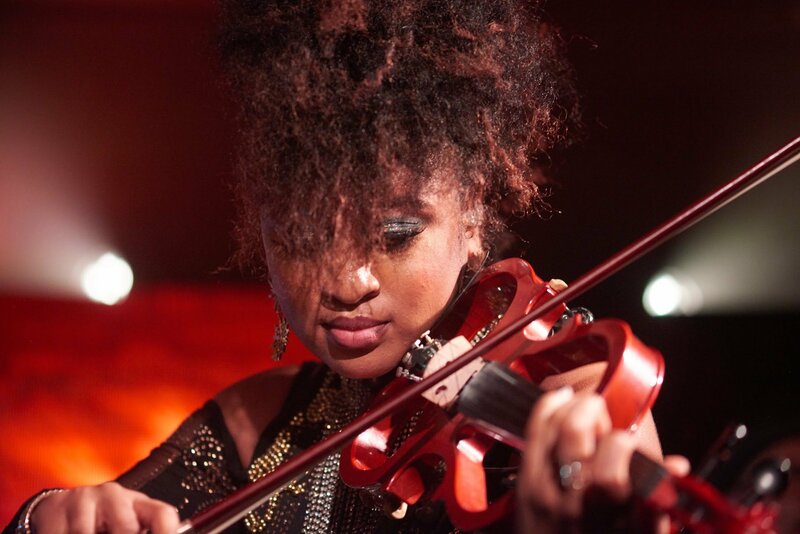 Unlike most bands, Free Spirit includes a talented vocalist/violinist, classical pianist, guitarist and flutist so that we can create the most romantic, expressive music for you as you walk down the aisle. Incorporate our DJ into your event, wedding or after party. 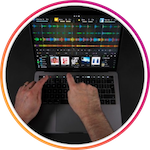 The music will never stop as he spins your personalized custom playlist of the hottest tracks of today as well as all of the time-tested party dance tunes. We invest heavily in our own state-of-the-art sound and light system in order to comfortably play events of any size – small or large. We can work with to design the look, feel and sound that’s just right for you. Choose from a simple, elegant solo piano or expand the ambiance with an upright bass, saxophone, trumpet, drums, etc. to perform a variety of jazz, Broadway classics, movie themes, pop music and standards. The MC at your event is the person who ties everything together and keeps your party moving. Our MC & male vocalist is the best in the business. You’ve most likely heard him while watching films and network TV. 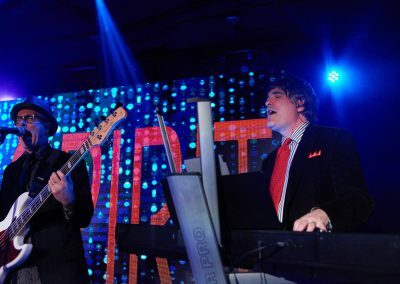 Free Spirit specializes in bringing the “party” to your gala, company party, customer conference and more. 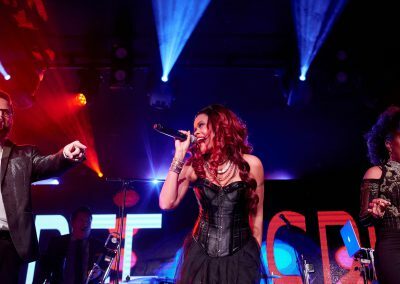 When you absolutely need to impress, our performace, planning & logistics will “wow” your audience. 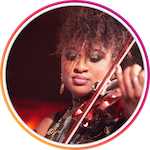 Free Spirit brings eleven incredibly talented musicians to the stage whose diverse talents enable the band to authentically recreate music from any era. 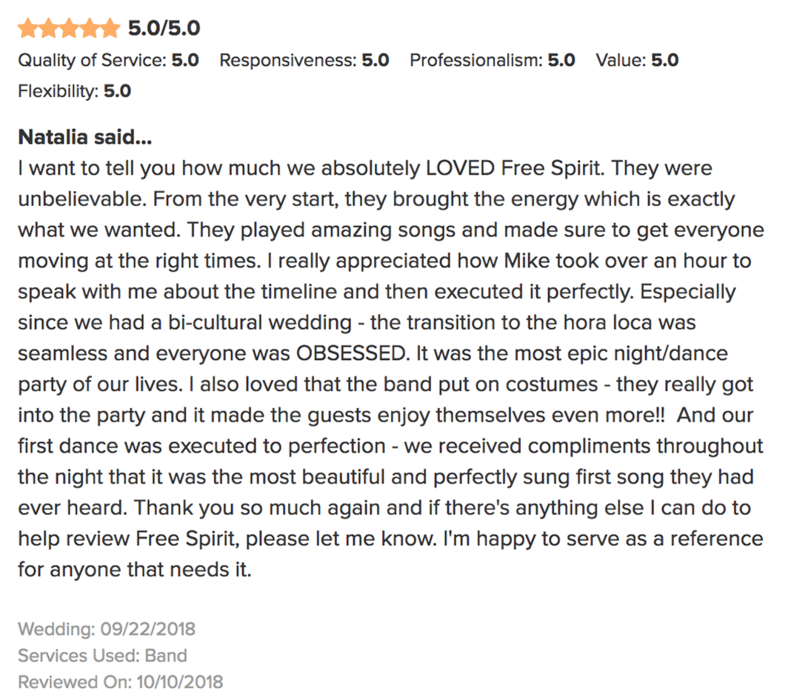 Free Spirit has been praised by critics in Washingtonian, Washington Life, Modern Bride, Town & Country, and Baltimore Magazines, and is a top choice for Washington DC and Baltimore area event planners. 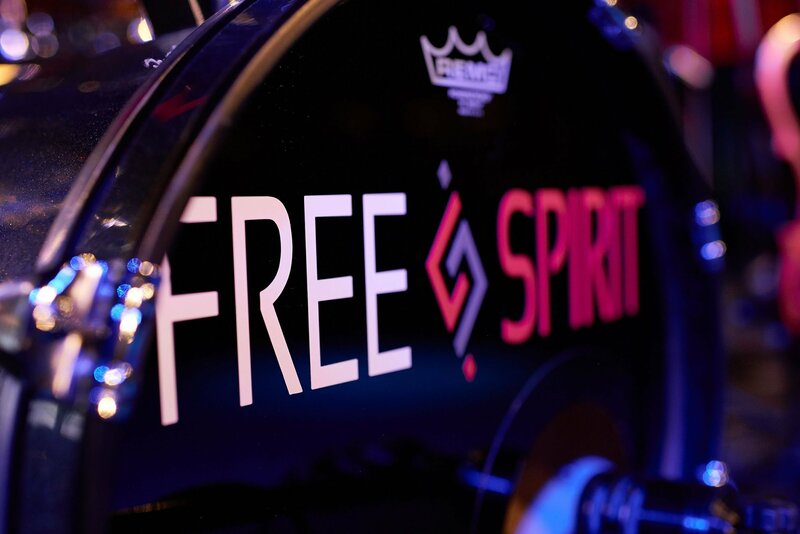 Free Spirit is comprised of accomplished performers, boasting recording contracts with major record labels, honored roles in armed forces bands and orchestras, and endorsement deals with major musical instrument companies. Free Spirit was also chosen during the gala season to perform for the leading entertainers in the region, including the National Opera, Washington Performing Arts Society, the National Symphony, Washington Ballet, Alvin Ailey American Dance Theater, and the Choral Arts Society. 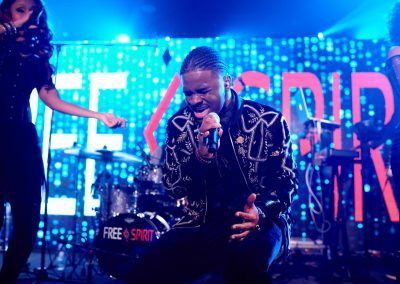 Since the inception of Free Spirit, the band has played thousands of events, constantly fine-tuning its repertoire to include a wide mix of the best dance songs. The song list is updated frequently to include today’s Top 40 hits and fresh takes on classics. Very few bands have the range to play today’s Top 40 hits, Motown, Disco, R&B, Latin, Soul, Big Band, Pop, Classic Rock, and Swing, but Free Spirit’s outstanding musicians come from a variety of backgrounds, with individual styles coming together to create a uniquely smooth, polished sound. 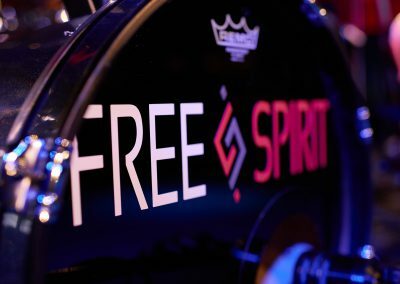 Free Spirit continually adds song selections in order to maintain its position as the most current band in the DC/Baltimore area. 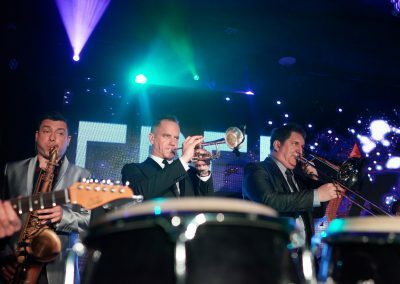 The band’s flexibility and professionalism allows Free Spirit to mold itself to your event, with personalized performances to encourage guests to move their feet and join the experience. We can answer any questions that you may have in order to plan your event. We’ve developed a number of questionnaires and guides to help you with the process. Your band is very big. Won't you be too loud? The size of a band has very little to do with how loud a band sounds. In fact, British rock band, The Who, set a world record at the time for concert volume at 126db – and they’re only a four piece band! The volume of a band is determined by the equipment they use and the skill and cooperation of its sound engineers. Free Spirit is different from many of the bands you typically encounter at special events. We have our own crew, truck and all the equipment that we need in order to play events of almost any size. We invest heavily in our state of the art sound system that allows our sound man to mix from a position in front of the band using an iPad connected wirelessly to our system. Most bands have a mixer next to the band stage behind the speakers — so their own sound man can’t even tell how loud the band is playing! We’ve also completely eliminated the use of large, loud, unsightly amplifiers on the stage. Every musician is connected directly through the mixer to an overall volume slider that our sound man can control. Turning the band up or down is literally as easy as moving a finger. Our goal is to enhance your event and not take over. We will work with you, your planner, the venue, etc. and react to your feedback any time to make sure that our volume is at a level that is comfortable for you. Can you learn special songs that are not on your list? Yes. In most cases we can learn up to three songs for each event. For example, at a typical wedding reception, most of our clients ask us to learn a First Dance, Father/Daughter Dance and Mother/Son Dance. We are more than happy to oblige. 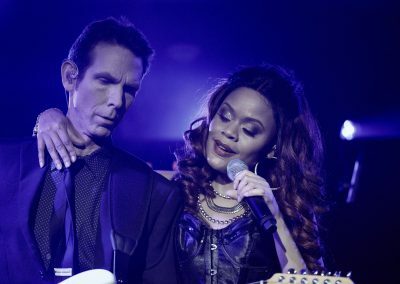 We do ask for your song requests approximately six to eight weeks in advance of your date so that we have time to get them on the band’s rehearsal schedule, have arrangements written, etc. 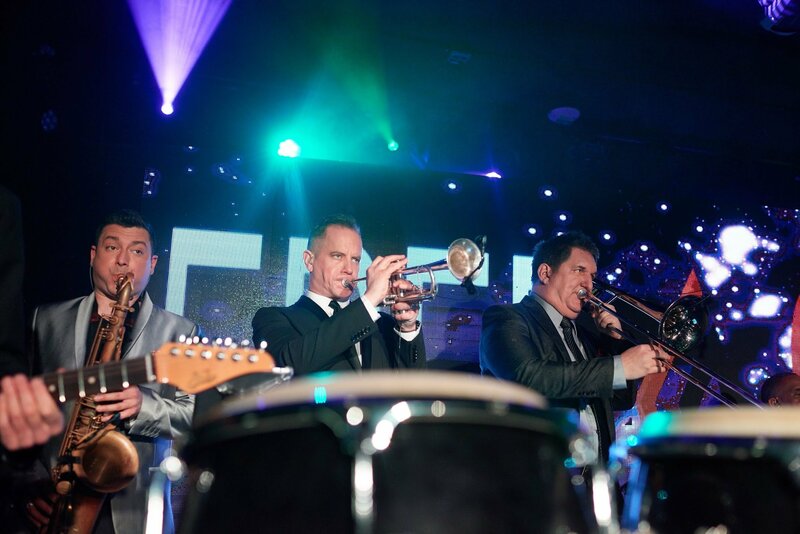 Free Spirit is a very experienced social and corporate event dance band. We are not a typical “club band” that plays for forty minutes followed by a twenty minute break. You’ve probably experienced bands like this while out at the bars with friends. Don’t worry. We’re different. 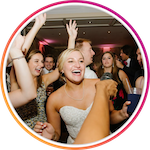 We treat every event as unique and we will work with you to time the number and duration of our breaks in order to maximize the dancing for you and your guests. We typically try to break only at times that won’t matter to your party (e.g., during toasts and speeches, during a sit down meal, etc.). 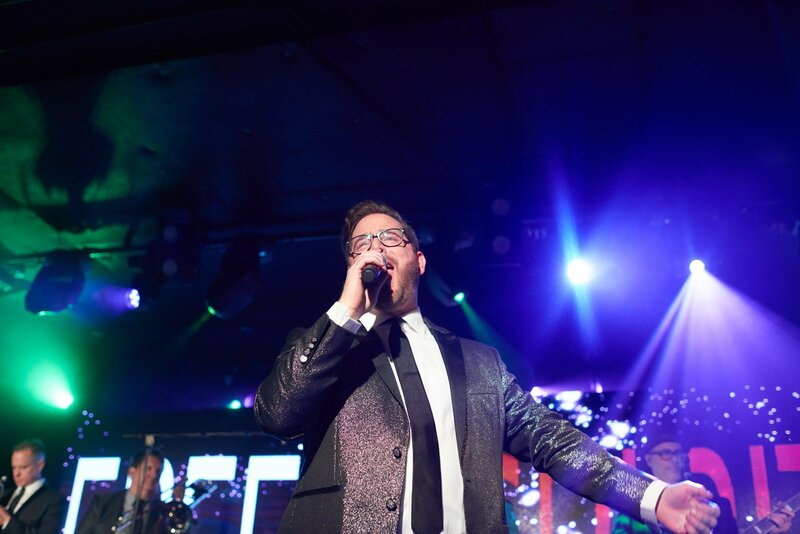 When you need us to be on stage delivering a high-energy dance set for you — we’ll be there. Plus our standard package includes up to two non-stop hours after dinner for plenty of dance floor time for you and your guests. What music do you play on breaks? We have a variety of music on CD that is appropriate for most occasions or you can arrange for our DJ to spin for you while the band is off stage. You will have the opportunity to discuss your option for break music with the band leader prior to your event. You may provide an iPod play list or a custom CD with music of your choice and we are happy to play it for you as well. Will you MC, or do I need to bring one of my own? 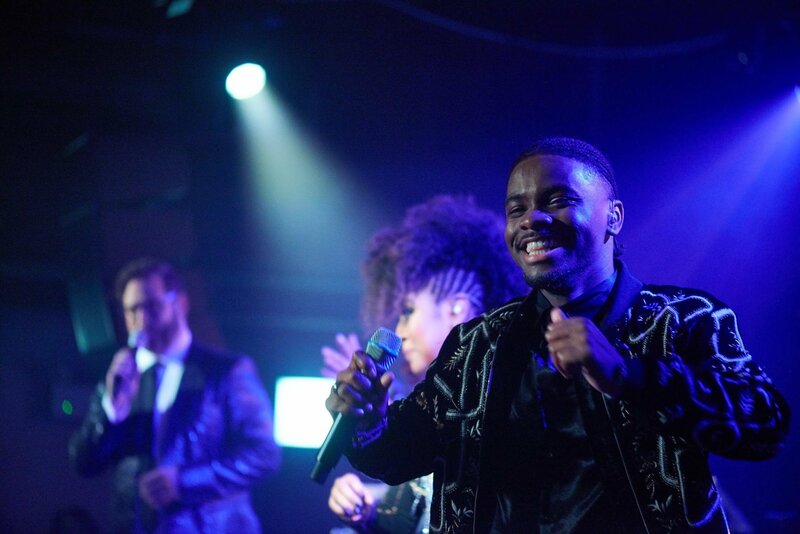 Our male lead vocalist will serve as Master of Ceremonies for you throughout the evening. In addition to being an amazing singer, he is also a professional voiceover artist. You’ve actually heard his voice on countless TV spots, jingles, etc. 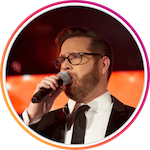 He has more than twenty years experience as a professional entertainer and he will keep your festivities flowing with style and grace — and no carnival barker antics! Who plans the songs that you’ll play at my party? Prior to your event you’ll receive an up-to-date song list which includes all of our latest additions. You’ll have the opportunity to mark it up so we know your favorites and least favorite songs from that list. But remember that you’re hiring a band whose band leader has more than thirty years of experience reading crowds and calling songs to keep your guests dancing all night long. So we request that you leave the order in which the songs are played up to our expertise. With your input, by the end of the night we’ll be able to play your favorites songs at just the right time to keep everyone at your party dancing. 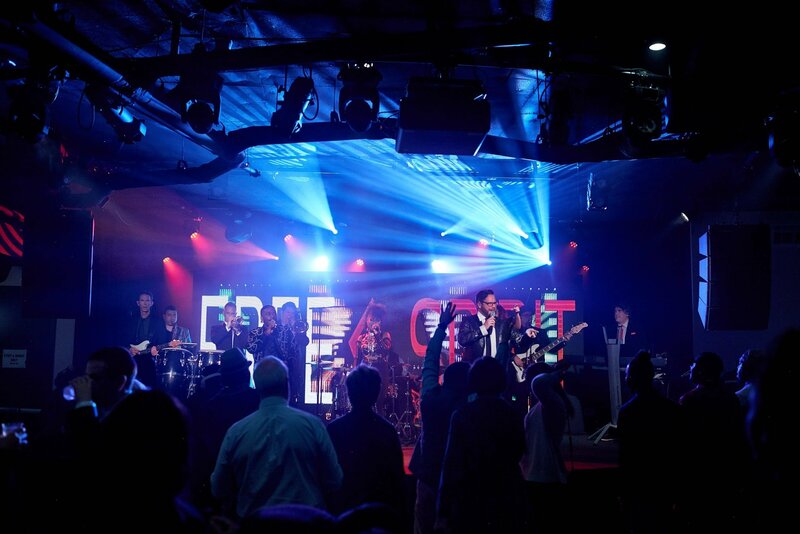 Do you get off stage and interact with our guests? 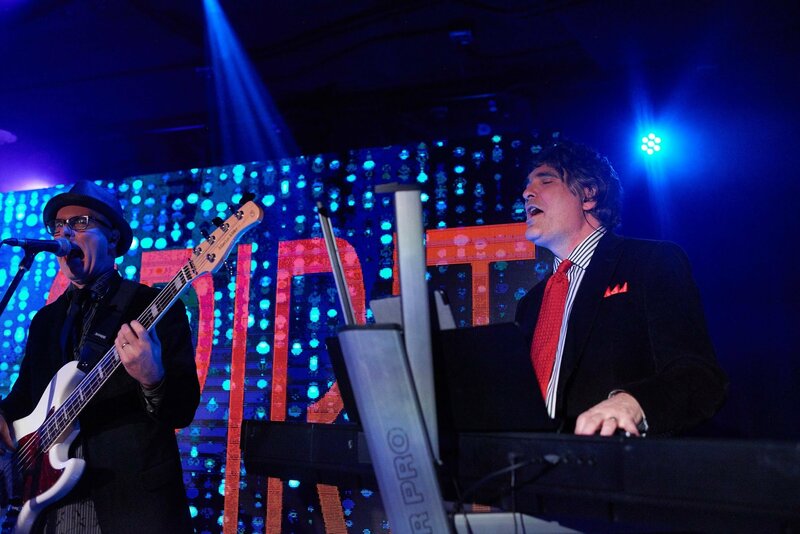 One of the many strong points of Free Spirit is that we are a high-energy, visual and interactive band. Many people hire us because we are great at getting the guests up out of their seats and onto the dance floor. We often do this by sending our singers and musicians out into the crowd. However, we realize that this approach is not for everyone or every event. If you don’t want the band to leave the stage, please feel free to discuss this with the band leader prior to your event. We will be happy to oblige and we’ll still give you the same spectacular show from the band stand. May we use your microphones for toasts? Absolutely. We have four wireless microphones that you may use. During speeches our sound man will also be at your disposal to make sure that you sound great. Can you provide music for my ceremony or cocktail hour? Yes. We have a number of great options for ceremonies and cocktail hours ranging from soloists to complete vocal ensembles. Many of our musicians are skilled classical and jazz performers in addition to playing more typical dance band music. So please contact us if you’re interested in adding ceremony or cocktail hour music and we’ll discuss what’s the best solution for your event. Our crew arrives three hours before the band’s scheduled start time to begin setting up. 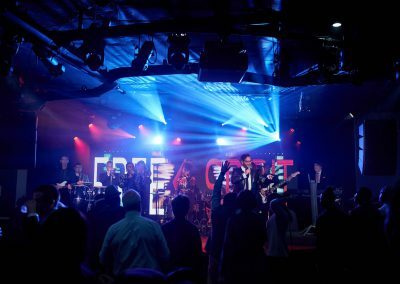 This allows us enough time to set up and perform a live sound check with the full band before any of your guests enter the room. If your event requires us to be fully set up more than an hour before the band begins (early setup), or you need us to set up more quickly (quick turnaround), we are happy to accommodate you with advance notice. Please read our Tech Sheet for more details on our set up, staging, electrical preferences etc. No. We prefer to have a stage for the band if one is available however, a stage is not required. We understand that each venue is different and sometimes a stage is not practical or provided for a number of reasons. If you do plan on providing a stage Please read our tech sheet in the planning section for more details on preferred stage size, etc. Do we need to provide food for the band? While we always appreciate a light meal or snack, we do not require that you feed the band. Please remember, however, that your event will require several hours of set up and tear down, in addition to the high-energy live performance — often a 10-12 hour commitment for the band and crew. We do need to eat during your event in order to keep our energy high so please let us know in advance if you do not intend to provide food so that we may make alternate arrangements. If you do plan on providing food for us, most caterers or hotels often have “vendor” meals at a reasonable cost for the band, photographers, etc. Generally, we require two(2) grounded, 20-Amp/120-Volt, 60 Hz circuits that are dedicated solely for band use. For very large or very small spaces, our requirements may vary slightly. Please read our tech sheet in the planning section for more details on our set up, staging, electrical preferences etc. 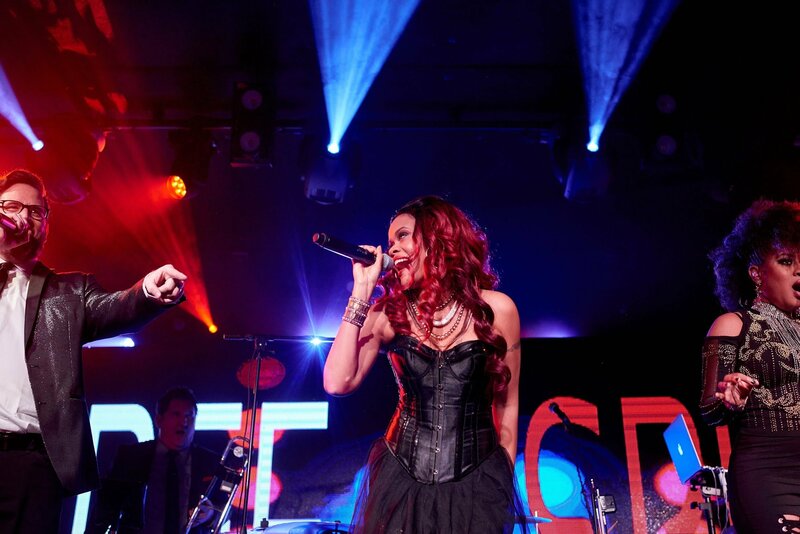 …[Free Spirit] was amazing and kept the dance floor full the entire night. I can’t even begin to tell you how many people told us how great they thought the band was!…thanks for making our night magical!.. Drop us a line if you’re interested in seeing how we can take your event to the next level. We are here to provide you with information and answer any questions you may have. Use the form on right or the traditional way works too. Call or email us anytime. © 2018 FREE SPIRIT - ALL RIGHTS RESERVED.